I am coming up on my 4th anniversary of the school I founded called The Living Water School. This summer (we are closed from June until September) I did something a little different. I spent a great deal of my time, staying home, working in my yard, reading, praying, thinking, playing with my dogs, playing with my kids, baking, reflecting…reflecting…reflecting. I spent a LOT of time reflecting over these past almost 4 years and I realized that there is so much I have learned from this very amazing, rewarding, and difficult journey. As I reflected on these things, I felt led to share them with others, with the hopes that maybe my journey will encourage and enlighten someone else who is going through or is thinking about going through the same journey. So here goes! 1. Most of your closest family members, friends, community will think you are crazy and will NOT support you. I put this one first because it hurt and shocked me the most. I seriously thought that all these people loved me so much that they would just cheer me along, support me, send all of their kids to the school, tell everyone about it, etc. BOY was I wrong. In fact very few did. When I started the school, most of my closest friends, family and community pulled away from me, refusing to help, refusing to support and refusing to help promote. The silence around me was so deafening that many times I would cry myself to sleep. I could not understand it. I went through phases of trying to process this. I was angry. I felt betrayed. Then I felt numb. I just stopped feeling or caring about others, because I felt they stopped caring about me. Then I came to a place of acceptance, along with hurt. I accepted that they just don’t and probably never will support and I wrestled with the fact that this was my reality. Then the final stage was that I realized that they still loved me, but that they probably knew me too well to accept the reality that I could actually start a successful business. LOL! Think about it, your closest friends, family and community have the “privilege” of seeing your “unprofessional self” more than your “business self” and it is probably so hard for them to take you seriously. LOL! I keep laughing because the epiphany hit me on one of my days of reflection that I am a pretty wacky person. I am artsy, a free spirit, creative, love to have fun and make jokes and most people don’t see me as this organized, business-savvy person (in fact sometimes I can’t even see myself that way…lol…this is funny to me). They have also seen me at my worst. They have seen every single weakness that I have and I’m sure seeing me at my worst doesn’t help them believe in my ability to start a business, especially a school. So when I jumped up with my crazy behind talking about, “HEY! 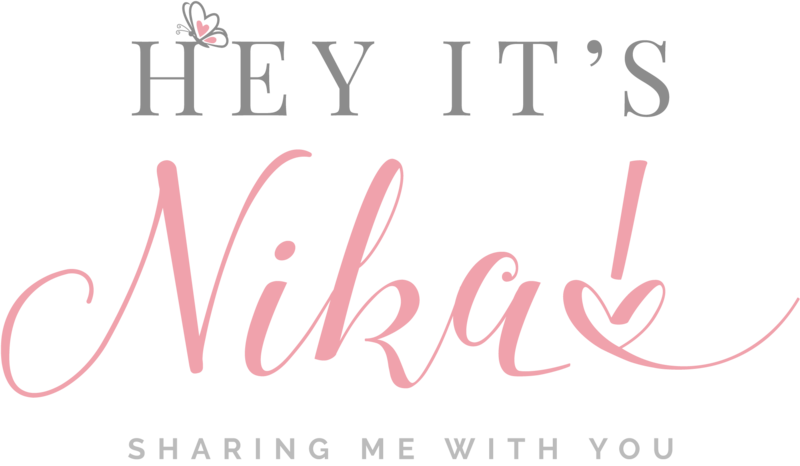 I’m starting a school!” Most of them were probably like, “Nika? How she gonna start a school? !” LOL!! LOL!! Many did not realize that in my 20 years in education, I was very serious about learning on the job and learning best practices for running an educational institution. I take the education and care of children so seriously that I almost become another person. Caring for children and giving them the best life is something I am so passionate about that it is just not a joke to me. It’s sort of like the mother bear mentality. The students, become like my children and there is this fierceness that comes over me when it comes to caring for and educating them. So once I reflected on that, all the pain I had been holding sort of just began to evaporate, and then I began to just be at peace and have patience. If I do my job well, then hopefully most (or maybe even all) will come to see this “other me” and support the work I am doing. Maybe they will actually begin to see that what they do know about me is actually a part of my professional side and what drives me. They just need time to get to know this side of me, because I don’t think they have really ever met her. 2. Use credit as little as possible. My first year, I wanted to hire a teacher who could teach Yoruba (a West African language spoken in Nigeria and other West African countries), African studies and Peace studies. When I met her I felt I had struck gold. The school did not have the money to hire her, so I took out a loan. Almost instantly I felt I had made a mistake. Oh, she was still awesome, but I just do not believe it is wise to use credit or debt to pay for things that do not appreciate (i.e. buying property would be a better way to use credit). So to recover from that mistake, clamped down on spending so we could hurry up and pay off the loan I took to pay her and then NEVER did that again. So far, the school has little debt and we only pay for what we can afford. One day we will own our own property, but we don’t yet, because I am waiting until I know that we can pay a mortgage and still have some cushion left over. I always tell people, I LOVE Jesus and I know God is able, but I do not run this school on faith. I run it on MONEY. I have seen many Christian schools close because they only ran it on faith. They would spend the mortgage money to buy a new van and then pray that God would provide the rent money. I will not be doing that! As bad as we need a van, we will not be buying one unless we actually have the money to buy it. We will not be buying our own building unless we have the money to meet the mortgage. So far this mentality has worked so well for the school and we have always been able to pay our staff, taxes, rent, and other bills on time. 3. Become friends and cooperate WITH the government. My school is located in a county that is very strict with regards to starting a school and I have met so many “educators” who decide to forego dealing with them by opening schools in their basements and calling them tutoring centers. Or I have seen people open preschools and say “Well I should be able to take care of the children of my family and friends.” So they don’t bother to get the proper permits to operate a day care. Yes, the government is irritating and difficult and usually hires people who are incompetent who do not know the zoning and permitting laws, but that does not excuse us from obeying the laws of the land. If we want God to bless our businesses then we have to get out of our SIN and follow the laws for opening and running a business. I have seen schools close down, end up in lawsuits, or embarrassed in the news for some catastrophe all because they were out of the ark of safety by not following the laws of the land. I know there will be times we may not know a regulation, but it is up to us to read and find out. To call our local government offices and find out what is required. To go to the workshop where you can learn about what the law requires. These are people’s CHILDREN! These laws were created to protect children from harm. I’ve heard people say, “OH It’s just a conspiracy for the government to get more money from us.” That is foolish thinking because the government has to actually PAY inspectors, and zoning officers and engineers and whoever to make sure our communities are safe and healthy. Our fees paid, help to insure these people can do their jobs. So yes, it is tedious and hard and they sometimes are not nice and you want to reach through the phone or glass window and choke someone because they answer your questions in a mean way and actually are ignorant, but you keep calling and finding those who can help you until you are in line with what the law requires. In the end, your tenacity will earn you the respect of the government agencies and they will support the work you are doing. 4. I am only successful because I am passionate about children. I don’t think I could have been successful if I was just in this for trying to get rich. It is literally my love for my students that keeps me going, especially in my darkest days. I have had so many times where I wanted to quit and then I might think of the student who was jumped in his public school bathroom by 5 boys and will keep pushing, because I have to keep the school open so he has a safe place to go to school. I may think of the student who suffers from such severe depression, who finds the school his safe haven and keep pushing because I want to keep him alive and well. Money does not drive me, but passion for touching the life of kids does. My husband says that he thinks parents can see how much I love the kids and their families and that is what makes people want to come to the school. Before this, I was a jazz singer on the side and I was sharing with my husband how I did not enjoy it. I like music, I loved creating the songs, but I just did not feel it in my soul. I sincerely love teaching and working with kids. I always have. My uncle (RIP) used to laugh at me when he would visit because he said, he remembers me playing “school” all the time as a child. It has always been my passion and it pushes me forward. Everything I do is for the sake of the kids. I want to give them my best and so I am driven to find out how can I always make this place better for them. I don’t think I would have that attitude if I had to sing for masses of people. I love connecting with the children one on one. Performing just has me on this stage and I can’t even see all the people out there, because the spotlight is so bright on me. I felt nothing, but with kids and their families…I FEEL and I love it. 5. To grow you have to let folks go. When I was young, my mom would let me help her in her garden. She would have me break off dead blooms so new ones could grow. I have learned that sometimes you have to suspend or expel a student no matter how much you love them. If they are bringing negative energy into the space, they have to go. I have learned that I cannot be so pressed for tuition to keep a troubling student or even a troubling parent. Most Christian schools will keep a student who brings trouble because their parent faithfully pays tuition. For us, every single penny is budgeted. We do not receive private funding from everyone. So Christian schools are pressed to keep students. However, I have a mantra, “I will close this school down before I keep a student because I need their tuition.” God has been faithful. He has always provided a ram in the bush and it has also helped the community to understand that although I love the kids, you will be asked to leave if you don’t get with the program. We can work so hard trying to keep or even rehabilitate ONE child at the sacrifice of the 50 or so other children who appreciate the school enough to cooperate. That’s another thing! Sometimes it is not even about money! Sometimes our hearts of compassion make us want to “save” that one child. Yes Jesus would have done it, but Jesus also tells the story of the prodigal son! Sometimes a child has become so stubborn in their way, that they have to be let go and if it is God’s will to work on their hearts, they will come back to you. I do it in love and most of the times I am crying when I do, but I let students go who are consistently disrupting the strong and healthy culture of the school (i.e. bullies are ALWASY dismissed quickly!). Another part of this is that you cannot be afraid to fire or lay off staff. God has been good to us and we have had most of the same staff for 4 years. The only one I have had to let go was for financial reasons, but I still had to let her go. Sometimes you have to let staff go not just because they are not doing their job well, but for various reasons they are not the best for the school. It could be for financial reason, character reasons, behavioral, poor job performance…whatever! The point is you cannot hold on to staff just because you do not want to hurt them. That is noble, but the success of any business is based on the quality of the staff and how they are an asset to PURPOSE of the organization. If when you analyze your staff you see there is a weak link or someone who just does not respect what you say or is draining the finances and you can only fix this issue by them being GONE, then as hard as it may be, you have to let them go. Don’t’ keep them because you need another warm body or you don’t know how to replace them….GOD WILL PROVIDE. Prune away, friend…prune away! 6. I can’t do ANYTHING without GOD. This actually should have been first! I get up early, not because I am an early riser and love the morning, because I don’t! I get up early because I need God’s wisdom to show me the right path to take. He really will speak to me in the stillness and quiet of the morning. There is something so magical about getting up before the world does and in the stillness of just sitting there waiting and listening, His still small voice manifests itself. Through praying, reading scriptures and asking God for his wisdom, he has never failed to light my path. I never miss this time. In the days of failing to do this, I have always had a rough day, but when I get up early and get into the stillness, he lays out my day for me and shows me the steps to take. I also feel that by placing him on the throne of my business life, his hand of blessing has been in this work. It is also the key to my staying SANE!! I can go to him with every care, every worry, sometimes with tears streaming down and I am a ball of fear and nerves. Oh Hallelujah! God will calm me and give me wisdom. I have found that his way is usually, “One step at a time.” He rarely solves the issues instantly, but gives me a step by step process of how to untangle the complications of the day. God is my business partner and so I do give him all the honor for making the school even exist. Only through his power and wisdom does The Living Water School exist. 7. Stay focused. So I am a creative person and ideas are constantly flowing through my brain at a rapid speed. However, I have and am learning (I do sometimes get weak and go down some insane rabbit trail), to stay focused on this one business. Yes, there are so many other projects and businesses I could pursue, but I have come to a place of only doing those things that are connected to the school. My whole life revolves around the school. It has created such balance for me. And because usually a business does not take off overnight, there has to be daily focused time and attention on building the school. People have to see you consistently and daily working on THIS business. I sometimes see people post on social media about starting a business, then another month, they are starting another business and the cycle continues. People usually turn you off when they see you jumping from one business to another. However, over time and with repetition people see you focused and growing the business they start to take you seriously. You have to take time to build people’s trust in the work you are doing. Also whatever field you are in, is usually always changing and evolving. Laws and regulations change, new strategies and methods develop in whatever field you are in and you need to go to workshops and classes so you are always relevant. It. Takes. Time. to build a business! So for me I stay focused and spend each and every day working on building it. There is still so much I want to say, but maybe I’ll do other posts on the topic. This hopefully will be enough for readers to digest!